One of my friends, sales trainer Bill Lee, was on a consulting assignment in Connecticut, accompanying an outside salesperson as he called on his lumber yard customers. As they drove from job to job, the salesperson was honking his horn and throwing up his hand to say hello to the various lumber yard truck drivers as they passed by. On one occasion he saw a driver making a delivery and stopped by the job site to say hello face to face. “You sure do go out of your way to be nice to the drivers,” Bill commented. Did you get that? The salesperson was engaging in conscious, deliberate acts of kindness. And it didn’t cost him anything. I would suggest that kindness is not only the right thing to do; it’s also the smart thing to do. 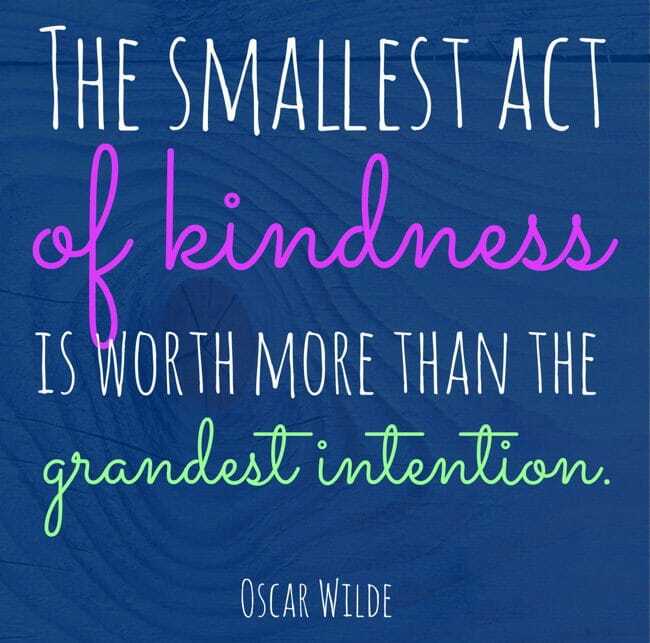 Because kindness always pays off. It may pay off in better relationships with your coworkers or family members. It may pay off in more sales. It may pay off in reducing the stress and tension in a particular situation. And it pays off in your own increased self-respect. After all, you can’t feel good about yourself if you treat anyone with anything less than kindness. ► 1. Look for ways to make someone else’s job easier. Ask your coworkers once in a while, “What can I do differently to make your job easier?” They may fall out of their chair. They may say, “Nothing, really. But thanks for asking.” Or they may give you a simple idea that you would have never thought about. And ask your customers “What else can I do to be of more help?” Your sincerity will go a long way towards strengthening your relationship. When Michelle Barthel, a lab manager at Spearfish Regional Hospital, attended my Journey-to-the-Extraordinary experience, she got serious about using the techniques she learned about what it takes to fully engage others. One of those techniques being conscious, deliberate acts of kindness. ► 2. Bring in treats. You remember the key line in the movie, Field of Dreams? If you build it, they will come. Likewise, if you bring in the treats, they will come … towards you … towards a stronger relationship. There's always something you can do. Even if you're a truck driver with a cooler full of cold drinks, you could pass them out as you pass by other coworkers in the warehouse. ► 3. Give generous amounts of verbal appreciation. So if you start sharing more appreciation, you’ll go a long way in building your relationships. And you can verbalize your appreciation by speaking it or writing it. Say thank-you a lot more often. And if possible, tell people exactly what they did and why you appreciate it. The same goes for thank-you notes. Send a lot more of them. When your coworker does you a favor, send a short thank-you note. Leave a thank-you note for the people cleaning your office or your neighborhood. And don’t ever forget to send your customers a written note. If they ever feel taken for granted, they may take their business elsewhere. Set up an Appreciation Board in your break room and encourage people to write down what they appreciate about each other. Erase it once a week and start over the next week. The possibilities for showing appreciation are endless. ► 4. Greet more people. And yeah, I know we’re all busy. And I know some people will never greet you back, no matter how kind you are. That’s not the point. You do it because it’s the right thing to do, not necessarily the easy thing to do. Again there are lots of ways to do this. Pick one or two that feel right for you and greet more people. You could try to make eye contact, smile, and say hello to everyone as you go down the hall or street. You could surprise your team members by greeting them at the door, shaking their hands, and thanking them for being a part of the team. Try calling a team member (or anyone, for that matter) who has been sick, just to see how they are. Ask a person that is sitting alone in the company cafeteria if you could join them for lunch. Or ask a new person each week to take a walk with you on their lunch hour so you can get more acquainted. Final Comment: Kindness pays. 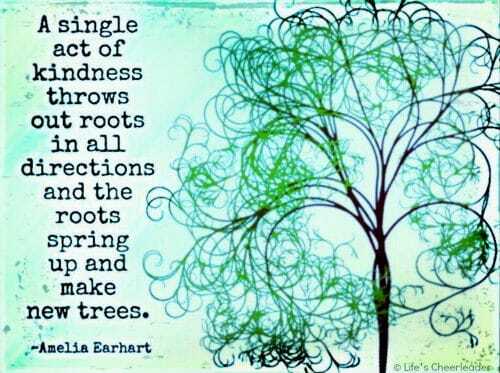 Do some things this week to show more kindness to more people.